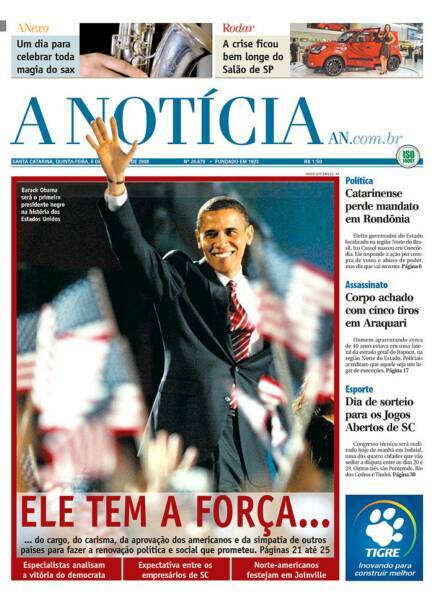 The front page headlines proclaimed Barack Obama as the new President of the United States. Now you can see those headlines from across the nation and around the world just by clicking the button at the bottom of the page. 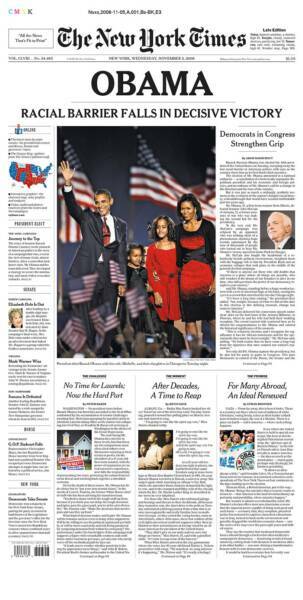 Check out the Youtube version of our Obama Front Pages below; it includes music!